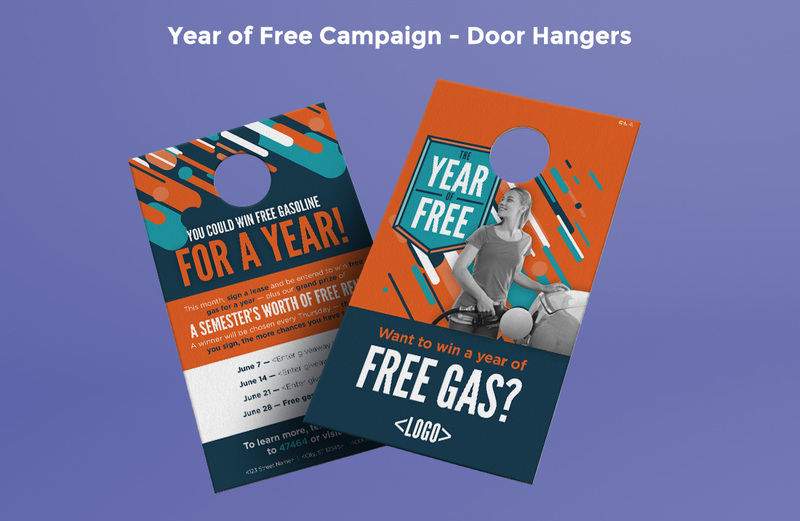 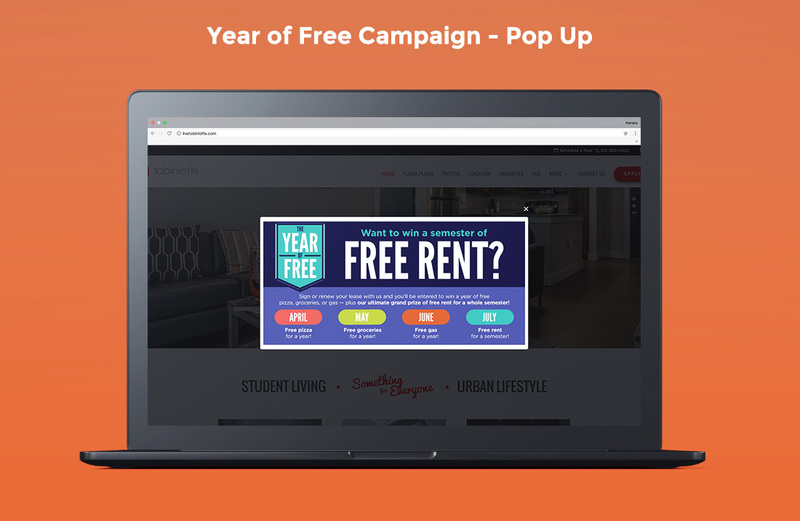 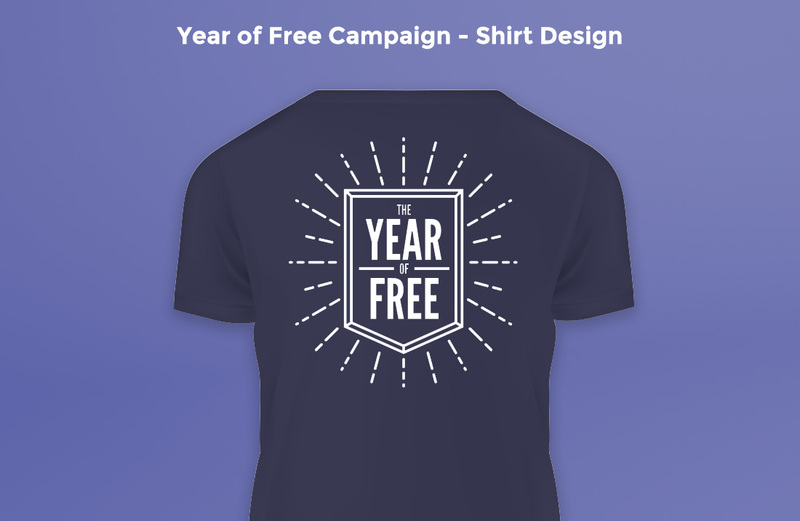 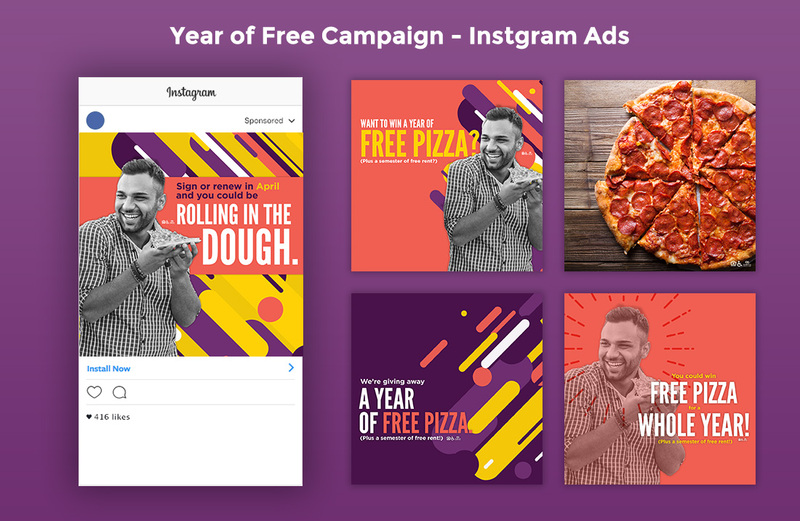 The objective of the Year of Free campaign is to drive consistent leasing portfolio-wide over a 3.5-month period (ends July 7). 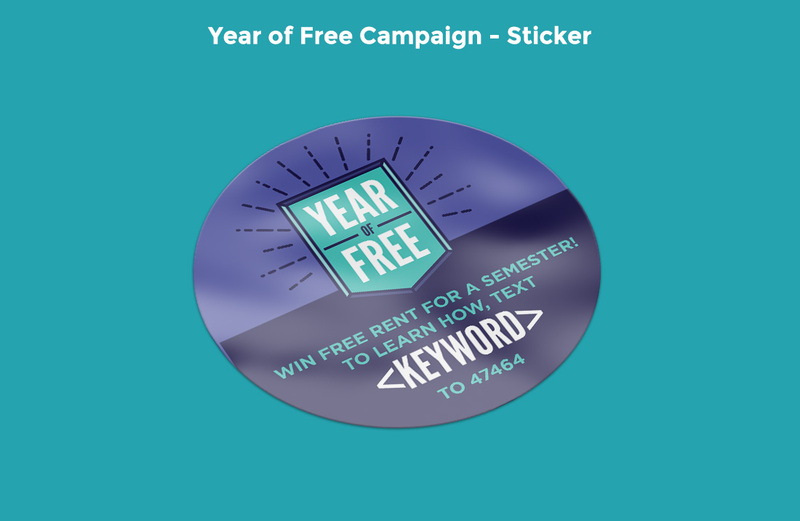 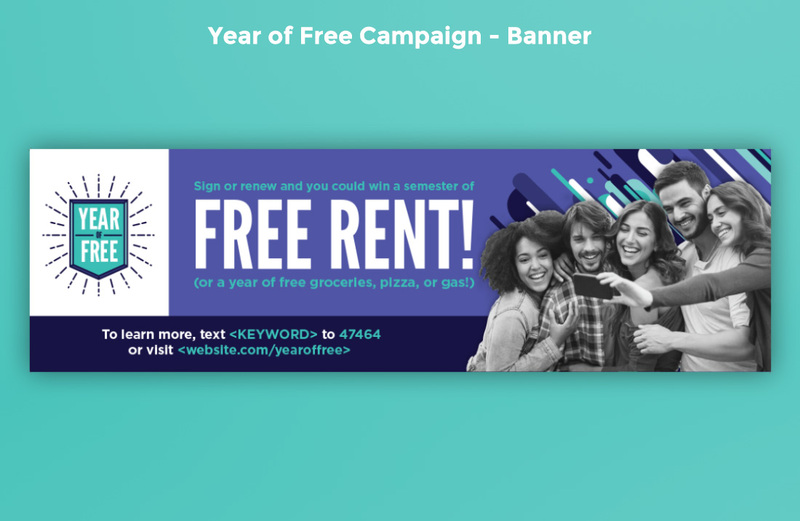 Catalyst worked with the Campus Advantage leasing team to develop an integrated campaign that offered weekly giveaways based on budgets of the 44 participating properties; larger monthly giveaways that entailed a year of free pizza, free groceries, and free gas; and a grand prize of free rent for a semester. 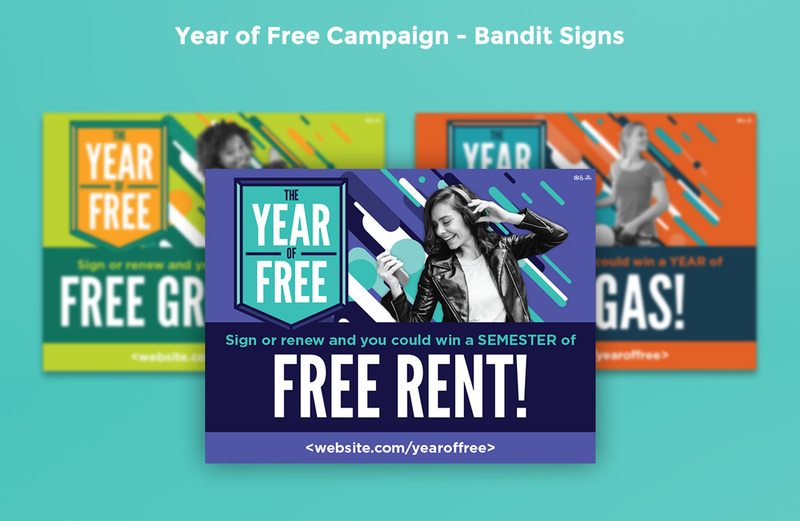 The earlier residents/prospects renew or sign a lease, the more chances they have to win. 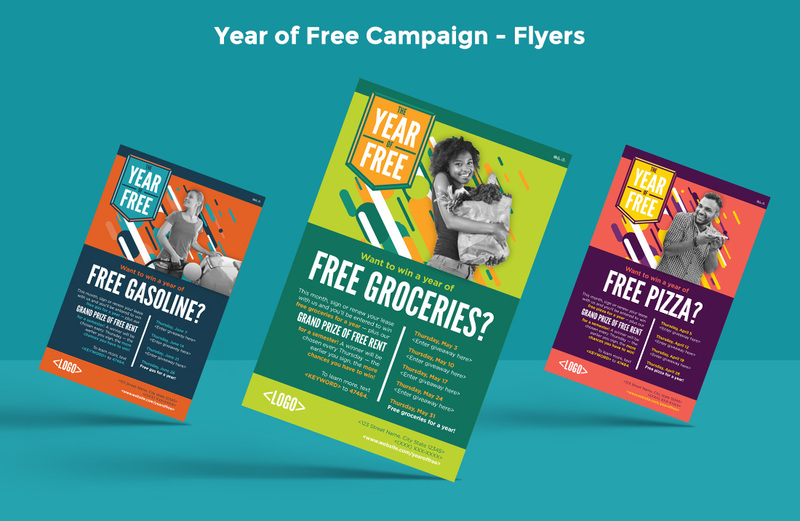 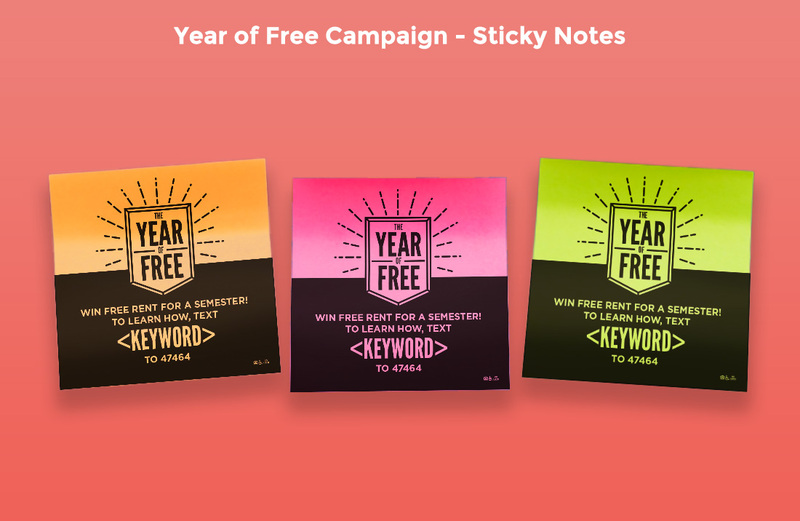 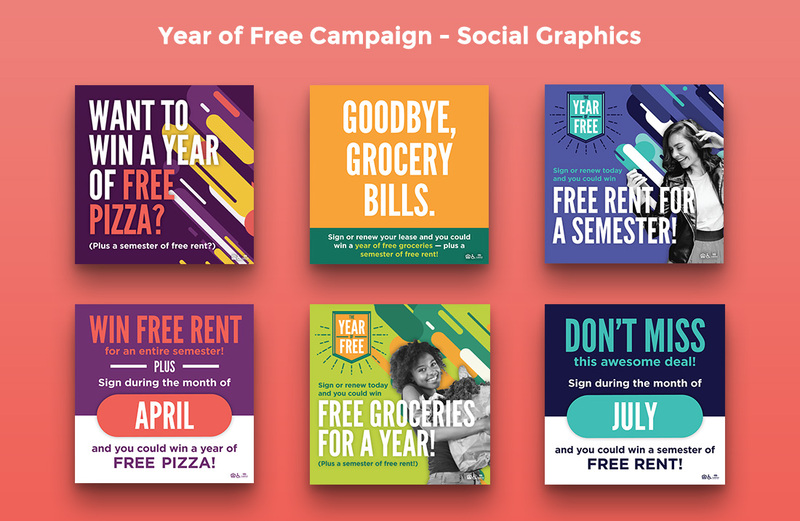 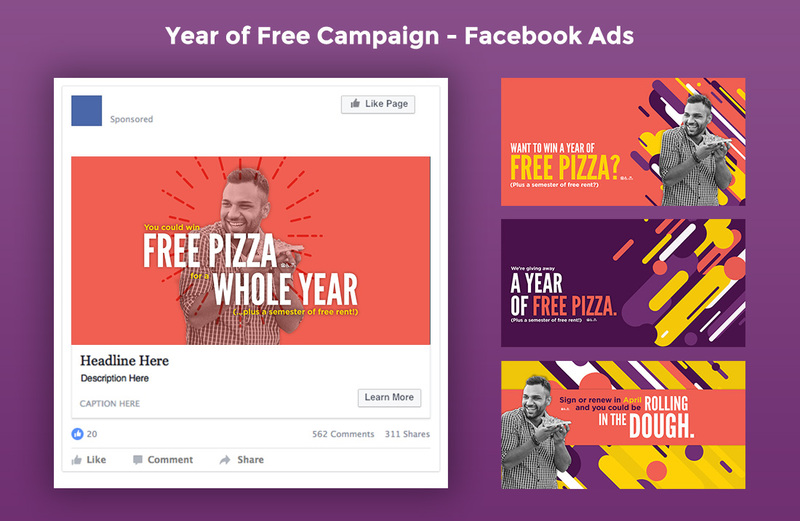 Campaign deliverables included two emails per month based on the designated monthly giveaway, flyers, sticky notes with an IRIO number, a poster, bandit signs, social graphics, social media ads, and Google ads.